Roland Barthes (1915-1980) was a central figure in the thought of his time, but he was also something of an outsider. His father died in the First World War, he enjoyed his mother’s unfailing love, he spent long years in the sanatorium, and he was aware of his homosexuality from an early age: all this soon gave him a sense of his own difference. He experienced the great events of contemporary history from a distance. However, his life was caught up in the violent, intense sweep of the twentieth century, a century that he helped to make intelligible. 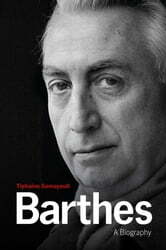 This major new biography of Barthes, based on unpublished material never before explored (archives, journals and notebooks), sheds new light on his intellectual positions, his political commitments and his ideas, beliefs and desires. It details the many themes he discussed, the authors he defended, the myths he castigated, the polemics that made him famous and his acute ear for the languages of his day. It also underscores his remarkable ability to see which way the wind was blowing Ð and he is still a compelling author to read in part because his path-breaking explorations uncovered themes that continue to preoccupy us today. Barthes’s life story gives substance and cohesion to his career, which was guided by desire, perspicacity and an extreme sensitivity to the material from which the world is shaped Ð as well as a powerful refusal to accept any authoritarian discourse. By allowing thought to be based on imagination, he turned thinking into both an art and an adventure. 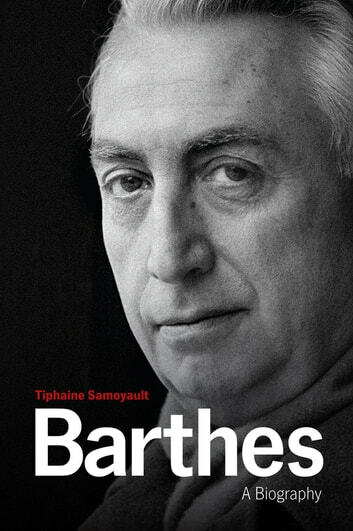 This remarkable biography enables the reader to enter into Barthes’s life and grasp the shape of his existence, and thus understand the kind of writer he became and how he turned literature into life itself.